I first wrote about Raleigh Denim on Eco Chick way back in 2009, and since then, the brand has grown in more ways than just business-wise (though they are going gangbusters in that department as well). They’ve recently opened an NYC storefront and have expanded their jeans-only line to include all sorts of lovely pieces to go-with denim, like sweet polka-dot shirts and edgy-cool vests. 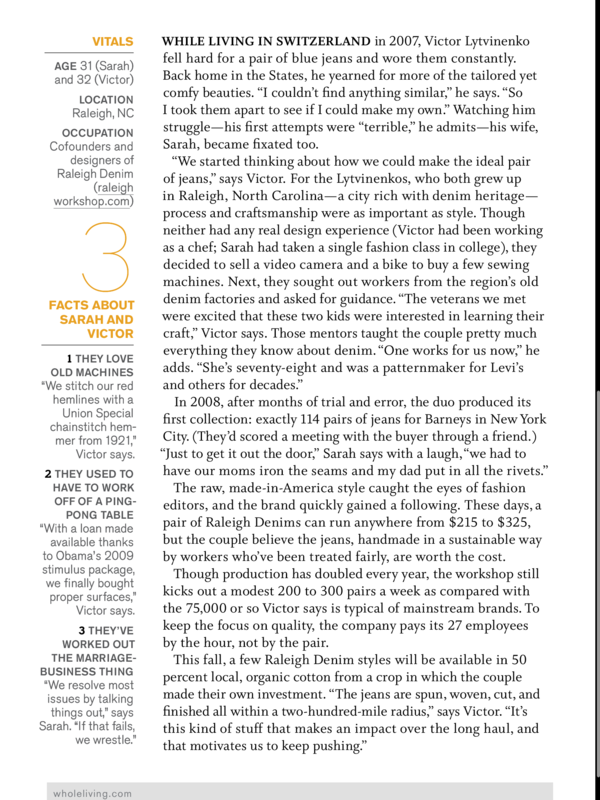 This made-in-USA (mostly North Carolina, where the designer couple lives) denim company has a great story, which I got to write about in Whole Living magazine’s October issue. I’ve screen-shotted the iPad version here (the mag looks GREAT in it’s new app!) 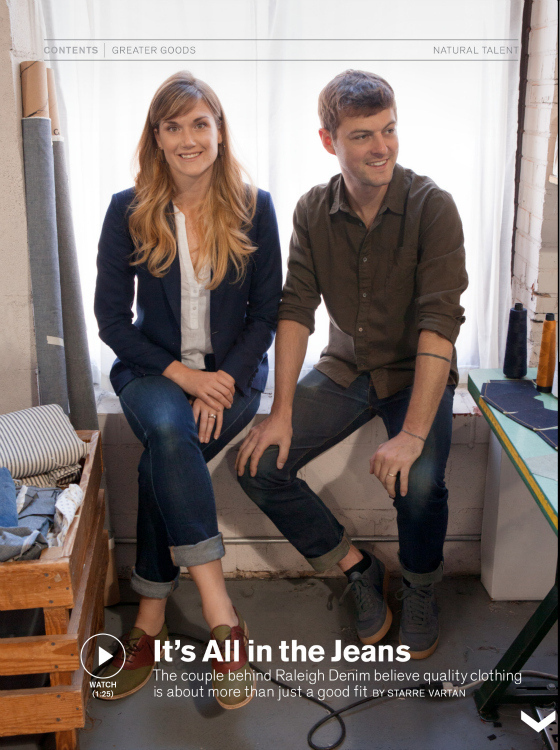 and the third shot below is from the iPad-only video of Raleigh Denim creators, Sarah and Victor, talking about how they make their classic-cool jeans. Cute screenshot below from the iPad-only Whole Living magazine app – that’s Sarah and Victor! This entry was tagged denim, eco fashion, made in usa, raleigh denim, whole living. Bookmark the permalink. Raleigh Denim is gorgeous, isn’t it? Thanks for the great article!